AT THE age of 12, rapper/songwriter/composer, Shula Kuka set-out to start the game of rapping with the conviction that the art genre would in one or the other make him find comfort after the death of his parents. Just when he was over a year old, the up coming rapper was unsettled following the untimely death of his father and as if that was not devastating enough, his mother also passed on 10 years later. â€œAfter the death of my parents my siblings and I were left in the care of an uncle but still, there is no better place in the world like having both parents around,â€ bemoaned the 26-year-old former Kabulonga High School teeny-rapper and basketball player. But then, such is life of the young and enterprising artistes, who was earlier literally blown off his feet with the music of US mega stars, Jay Z and Eminem, just at the first encounter with the rap iconsâ€™ music. â€œAfter listening further to other legendary MCâ€™s such as Nas, DMX, and Biggie Smalls, I just became obsessed with rhyming and actually, I wanted to be able to do it just like the way they did it,â€ mused the rapper, who was born Godfrey Shula Mukuka. Rappers such as Judakiss and Popoose were also more influential in his rapping career as he remembers that before he began listening to the former, he made rhymes that did not make sense. Interestingly, when he first started rhyming, he went by the cosy name of Young Master Glow, but understandably later in the years, with that name not striking some fancy following in his New Avondale hood around 2005, he experimented with a lot of other names including Mic Thrilla. â€œWhen I came up with the name Mic Thrilla a.k.a. Tha Thrillosopher, I remember being sceptical about using it because I didnâ€™t think I was dope enough to have a name like that, one that would have people expecting me to â€˜thrill the micâ€™,â€ observed the rapper, who was nicknamed D-Block during his school days. But then, the youngster told himself that he would maintain the name (Mic Thrilla) just as way of motivating himself as to realise his dream of becoming a real â€˜microphone thrillerâ€™. With the ever blossoming of new local rappers, with the likes of Macky II, Mic Burner, Slap D, Chef 187 and Za Yellow Man, over-riding the musical stages, Shula Kuka is quite wary of the competition they possess. 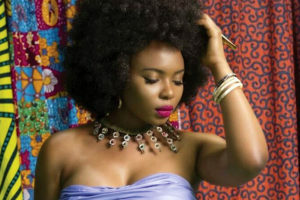 â€œThere is a lot of rap talent in Zambia, such as those exhibited by Slap D, Macky II, Chef 187, Krytic, Bobby East, Zone Fam and Stevo, among others. But that is great because it inspires and triggers a healthy competition,â€ he stated. He smiles and comforts himself knowing that with a little effort, there is nothing impossible in the music world, despite the many challenges in the industry, which has sadly been dominated with novices. 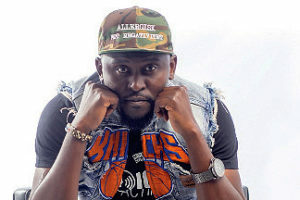 However, it was only in 2008 when Shula Kuka first recorded his music after completing his high school at Kabulonga Boys Secondary School, before enrolling at the University of Zambia. The songs included some overs of Brick â€˜nâ€™ Lace (Love Is Wicked), Karl Wolf (Crazy Girl) as well as his own, What You Can Do. While in New Avondale, he met and befriended a local rapper, Verbo and producer, Kundakan, known then as DJ Urutum, who in turn introduced him to another young and talented producer M-Eezi. Incidentally, M-Eezi had just founded a local label, AV Muzik and got interested in Shula Kukaâ€™s ability to rap with free-flowing rhymes and so together with Verbo and Kundakan, their musical journey jelled. By then he was still known as Mic Thriller. And looking back at his old buzz, he realised he was not doing things the right way despite having recorded some â€œgood songsâ€, but with no â€œseriousâ€ management and no proper marketing strategies, everything just crumbled. After graduating from the University of Zambia (UNZA) with a Bachelor of Arts and Education in 2012, Shula Kuka looked to change his approach to life and put rapping on hold and pursued all sorts of odd jobs just to put bread and butter on the table. Currently, the rapper is under the management of Shawn Kashweka aka Nay Shawn) with whom he has founded the brand new media/music label InnerSelf Inc. 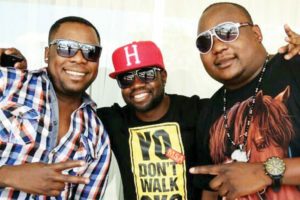 The duo has since embarked on a number of promotional schemes with the hope of establishing the label InnerSelf Inc as one of the best entertainment companies in Zambia. Like most labels, the entertainment group would like to establish itself on such online networks as ReverbNation, Sound Cloud, iTunes, Indimba and Amazon because they, too, understand the importance of networking online.